Web threats have shifted to vulnerability exploitation, hiding in trusted domains and the use of dynamic links in search engine results, social networking and web advertising. Real-time web security intelligence is a required defense layer to protect resources, your reputation and users. ProxySG customers using third party URL filtering do not have real-time rating and cloud security intelligence benefits that greatly improve web gateway defenses. 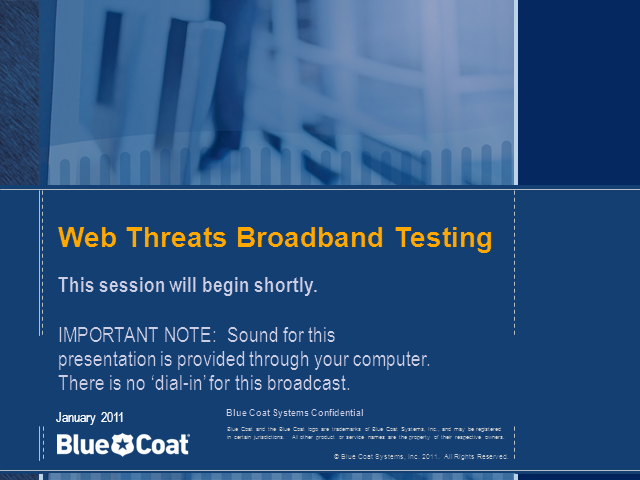 Join Blue Coat Technology Evangelist Bob Hansmann for this informative Webinar.